We are late arrivals, but that's precisely why we are in time to get it right. In the 1980s, there was a shift in the scale of developed economies' competitiveness and employment levers, and the United States was the first to spot the new paradigm. In fact, in the 1990s, works by PhD. David Birch were already evidencing that, contrary to the then popular view, it was not the major corporations that boosted employment most, but start-ups. In particular, the conclusion reached by this MIT researcher was that 80% of jobs created in that decade were attributable to SMEs less than 4 years old. In light of these results, the federal government ramped up its backing for training and expanding start-ups, creating financial instruments which, coupled with private capital, have enabled technologies like GPS, Internet and Wi-Fi to develop. Recently, a study conducted by the Kauffman Foundation underpinned the strategic role played by business initiatives in the US, concluding that start-ups have driven all net job creation in the last few decades, which shows that the culture of entrepreneurship has gained considerable ground on the culture of management in the period. This manner of understanding the world of business is a valuable intangible asset since entrepreneurs have incentives to broaden the range of production possibilities, while managers, more efficiency-driven, are motivated to operate within it–the economic success of Silicon Valley and Israel, two of the top eco-systems for global entrepreneurship, are evidence of this. Spain, which has traditionally been slow to appreciate the potential of small-scale business, has also started to make significant progress in this direction. The Ministry of Industry has identified more than 2,500 public and private platforms focusing on boosting entrepreneurship. However, despite increasing the support, the strategy is not working, as evidenced by the shaky path towards economic recovery and, above all, the figure of five million unemployed. The fact is that these mechanisms have neither prevented the fall in the business birth rate (more than 40% since 2007) nor helped start-ups, with a few notable exceptions, to gain enough projection to be able to accelerate the transition towards an economy that is skewed towards production. The reason for the lack of results is the way the measures have been implemented. While in the United States–giving a renewed boost to the policy of support for entrepreneurship–Start-up America was launched, based on the Chilean experience, a major public-private cooperation programme between the federal government and the country's leading companies to channel and coordinate efforts to help entrepreneurs, in Spain there has been little or no joint action between the administrations and the possibility of setting up strategic alliances with the cornerstones of business fabric has not been sufficiently explored. If these deficiencies were corrected there is every likelihood that the measures implemented would end up having the intended multiplying effect on employment and innovation. The tough financial environment means the administration must make further cuts to the budget, but building bridges for cooperation with the private sector, coupled with greater coordination between institutions, would enable the government resulting from the 20 November election to continue to change scale through support to entrepreneurs with no need to increase the taxpayer funds already earmarked for this purpose and, no doubt, with better results. If we are to avoid confusing progress with growth, as we did during the real estate boom, Spain must have more business initiative, especially in technology- and knowledge-intensive sectors, which offer greater upside. For there to be real progress, high-potential entrepreneurship must take its place as the engine of the economy, just as the culture of hard work and talent must replace that of speculation and subsidy. 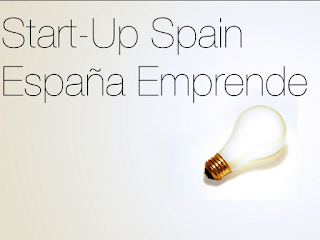 Spain needs a real "Start-up Spain" plan, and the sooner the better. * This article is signed and supported by a group of professors and entrepreneurs who advocate the launch of a plan to foster entrepreneurship and the creation of new companies. Iñaki Ortega (Professor at Universidad Rey Juan Carlos), Javier Santiso (Professor at ESADE Business School), Zaryn Dentzel (Tuenti. Entrepreneur), Gustavo Garcia (Buyvip. Entrepreneur), Iñaki Arrola (Business Angel and Chamberi Valley), Luis Rivera (Tetuan Valley. Entrepreneur) and Marek Fodor (Business Angel and Seedrocket).